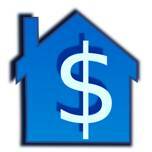 home value estimator tool Archives - Home Junction Inc. While there is much debate in real estate circles about Home Value Widgets or estimator tools, one thing is very clear. A recent survey conducted by Nerd Wallet in conjunction with the Harris Poll bears this out. According to their results, 73% of respondents say “Yes,” knowing the value of their home is important to them. We’re surprised it’s not higher because frankly, a home is usually the biggest item people own. But here’s another important finding from the survey – 22% of homeowners said they used an online home value widget to find estimates on what their home was worth. What’s also significant is that today, local brokers and agents now have the ability to add their own home value widgets to their websites. That national real estate portal that rhymes with “willow” is no longer the only home guessitmate game in town. By partnering with national real estate data providers such as Home Junction, a local agent can provide a home value estimation tool of their own to catch the attention of homeowners and generate their own leads. There are probably two ways to look at a home value estimator tool. One might be to simply dismiss the concept, repeating the same old argument that these estimates are not as exact as a Comparative Market Analysis. A home value widget, more technically known as an AVM (Automated Valuation Model), is not meant to be as accurate as a CMA. The real purpose is to light a spark for homeowners who might be interested in learning more about the potential value of their home and current market conditions, after they use this tool. A home value widget is basically a way to start a conversation. In other words, a lead generation tool. The great benefit for brokers and agents is that with a home value widget, you don’t need to get 100 phone calls a month asking for more detailed information to make it work. After all, the products you are selling are not toasters, but $300k to $1 million dollars properties. Just one lead that turns into a listing is huge. What’s even better is that now as we enter 2019, many of the bugs and issues with calculations have improved as the machines now have more historical data and results to work with. Home value widgets are much better than the days when they were first introduced and prices were all over the place. Now real estate data providers how more access to property sales records, mortgage data, county records, MLS listings, property characteristics, comparable sales and other sources of information. The machines are learning…and getting smarter with their estimates. The computer algorithms have become more advanced and offer a better estimate of a home value’s at a certain point in time. Sure it’s not 100% accurate. The true value of a home will only be determined when someone signs a contract. These numbers are a starting point. The quick estimates are also helpful to compare the value of a property with the values of other homes on the same street or in the same neighborhood. In addition, based on the amount of information provided and how current it is, algorithms have now been developed to offer a better “confidence range” to make it clear about the potential “highs and lows” with any estimate. Consumers can see, sure here’s what a website presented as a possible value for your property, but there is also a + plus or – minus margin of error to consider. Most consumers will understand this. They will realize these are fast, machine-based estimates and nothing like a formal CMA. In fact, this presents another opportunity for agents to start a conversation. After the results come up, offer to help explain how the calculations were created. Talk about all the factors that are involved in developing a true CMA. There’s no denying, knowing what a home is worth is important to consumers. An estimate is important to know not only for the sake of their investment in their home, but also for possible refinancing, home equity, homeowner’s insurance and tax assessments. Promote the fact that you, as a local real estate agent, now provide a home value widget for local residents. Include a note in your mailings, your email blasts and your social media posts. People are going to trust someone who lives and works in their neighborhood for answers. They are going to trust that you can help them interpret the results since you live and breathe these local property values in your line of work. Experts predict 2019 might be a tight year for home sales. But this advance in real estate technology/lead gen is now available to local agents. Can you afford not to provide a home value widget on your website, especially when the surveys show consumers want to know these estimates and will use these tools?